R. J. “Bob” Scaffidi is a father of 2 grown children and a grandfather of four. His home is outside of Akron, Ohio, where he has lived his entire life. Theresa and he now have 4 grown children between them, and 11 grandchildren. They have since retired, but still work part time doing things they like. Bob set out on his dating journey, which was his first time since he was 20 years old. Now 58 years old, he finds out how different the dating scene is today. Bob has spent most of his working career in the technology field and has worked the last 35 years for several major corporations. He has traveled to every state in the continental United States and, in his own words says that he has been blessed to see things that many people don’t get an opportunity to see. His friends describe him as quick-witted and they say he has a sarcastic sense of humor, and it shows in his writing. He is not afraid to make fun of himself, and loves to take fun pot shots at his friends. 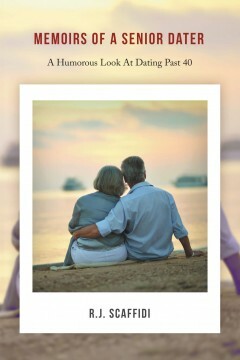 A HILARIOUS LOOK at dating in the 21st century as an older adult. Mr. Scaffidi shares some of his humorous adventures in dating, and some of the do’s and don’ts of on-line dating. Oh How I Love Him is an intimate account of Bernadette Smith’s journey through a life saturated with deceit, suffering, hardship, and triumphs. In every turn of the pages and every word you read, you will see strength, wisdom, and courage throughout her words. Bernadette’s experiences emerged as cornerstones and building blocks for her transformation as they became the focal point of her existence in serving God. As you read, may the same strength, wisdom, and courage resonate within you so that you can walk away discovering that your possibilities are infinite as Bernadette did with hers. 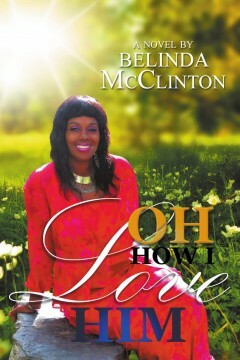 Belinda McClinton is the proud mother of three children; Anthony, Jamal, and Nicole. She is also the grandmother of six grandchildren; Anisha, Phoenyx, Paige Jean, Nadir, AJ, and Xari.